Leg-yield is the first lateral exercise that your horse will learn. 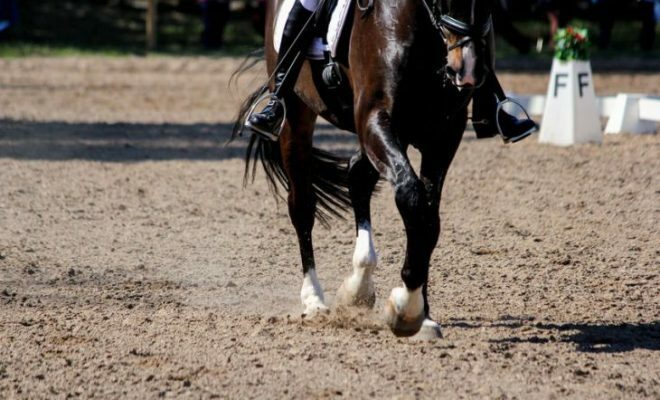 In addition to being a useful suppling exercise, the movement is also included in some dressage tests. 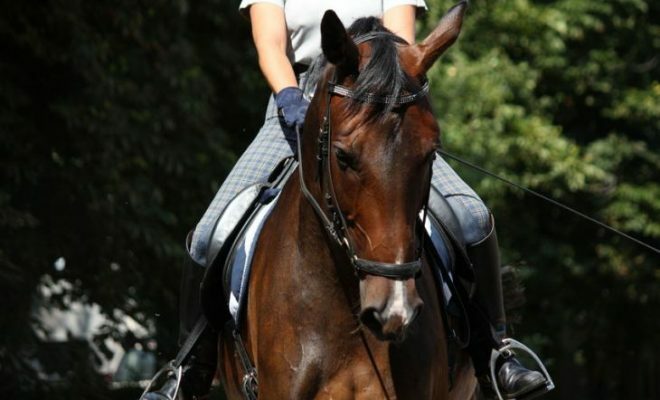 So, what are the benefits of leg-yield and how do you to teach your horse the exercise? The leg-yield is essentially a suppling exercise. It makes the horse loose and free in its lateral and longitudinal movement and provides the basis for future lateral work. Leg-yielding teaches the horse to be more responsive to the rider’s leg aids, and helps to develop the rider’s ‘feel’ and coordination. In leg-yielding, the horse moves forwards and sideways on two tracks. His body remains straight, and there should be a slight flexion of his head and neck away from the direction of travel. The inside feet should step regularly and evenly in front of and across the outside feet. The exercise is best introduced in walk until the horse understands the aids, but is ridden in trot when asked for in a dressage test. More advanced horses that are working in collection may be asked to leg-yield in canter. The easiest way to introduce leg-yield is to ride it from the three-quarter line back to the track, without making the angle too acute. 1. In walk, turn from the short side onto the three-quarter line of the school, and ride a few steps in a straight line. 2. 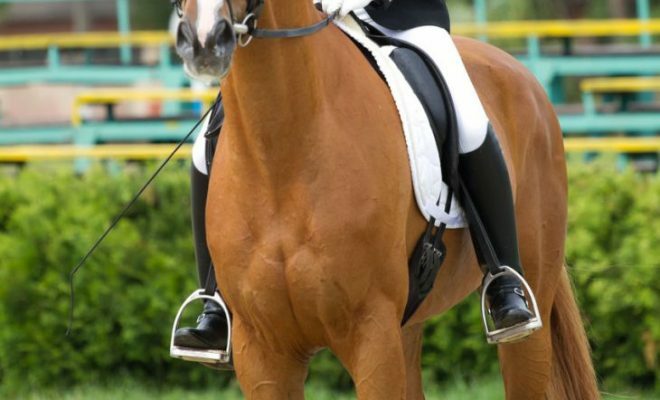 Move your weight onto your inside seat bone, and use your inside leg slightly behind the girth to push the horse’s quarters forwards and sideways towards the track. 3. Keep your outside leg slightly behind the girth to prevent the horse from leading with his quarters and to keep him moving forwards. 4. 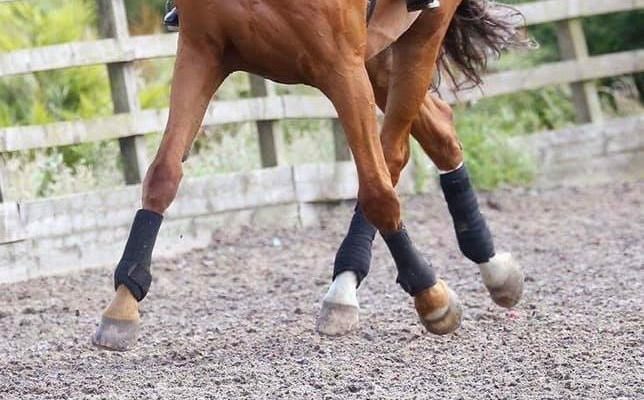 Your inside rein asks for a slight flexion to the inside, whilst your outside rein keeps the horse straight, prevents too much neck bend, and controls the outside shoulder. 5. As you hit the track, finish the movement by removing the flexion and making the horse straight in the contact. There are many patterns and variations of leg-yielding that you can introduce into your schooling sessions. 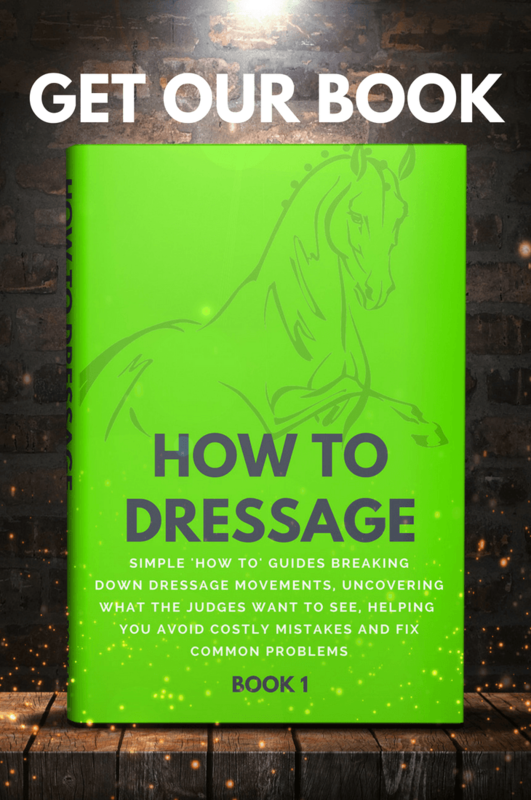 Here are some of the most common faults seen by dressage judges when evaluating the leg-yield exercise. All these faults are straightforward to correct. The horse that falls out through its shoulder does so because the rider has allowed it to bend through its neck. Keep the horse’s neck straight in line with the rest of its spine, and control the shoulder with your outside rein. You should only be asking for a small amount of inside flexion at the poll, not for a bend in the horse’s neck. Make sure that you are sitting straight and upright. When you commence the exercise, put your weight into your inside heel and seat bone, without leaning over. If the horse doesn’t move away from your leg, or trails its quarters to avoid stepping through and underneath its body, re-emphasize the aid. If necessary, tap the horse behind your inside leg with your schooling whip. Don’t try to compensate for the horse’s lack of response by leaning to one side, or wriggling around in the saddle! If the horse is not moving forward sufficiently, the angle you create will be too steep. Ride forwards, rather than sideways as soon as you feel the energy levels dip or find that you’re not making forward progress. Leg-yielding is a useful suppling exercise that should be incorporated into your schooling sessions. It also provides a good foundation for more advanced lateral work later on in your horse’s training. 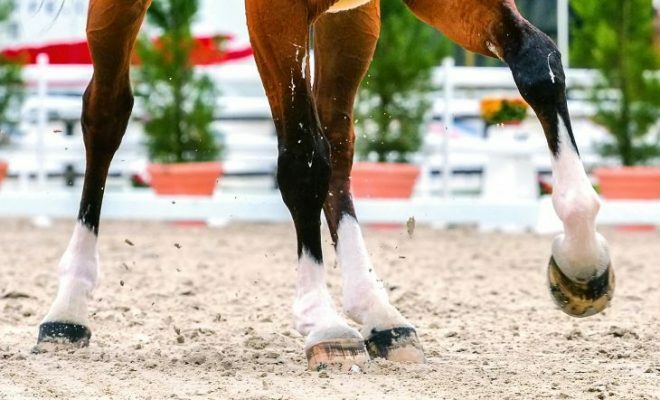 The key to correct leg-yielding is to have the horse moving forwards, and stepping sideways away from your inside leg aid, whilst maintaining a slight inside flexion from the poll.